BOONE COUNTY, Ind. 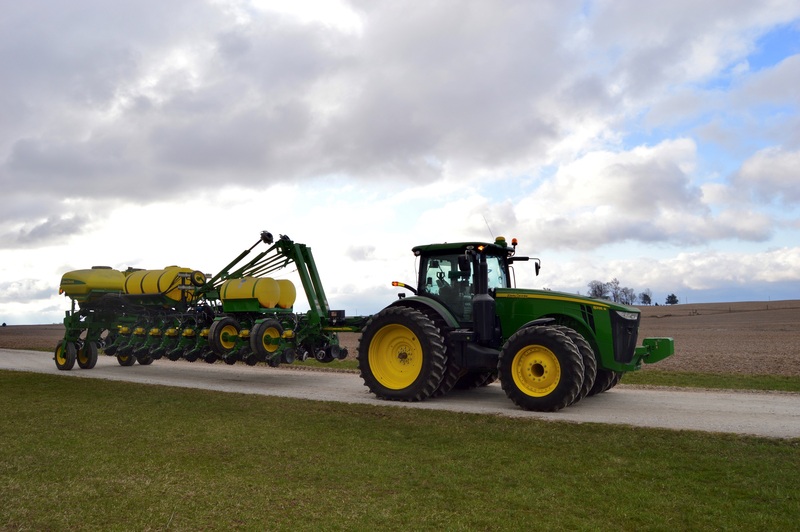 -- A 72-year-old farmer might lose both his legs after a farming accident near Thorntown Monday. Lloyd Hayden was in his corn field picking cane and weeds out of the field, said Sgt. Chris Burcham with the Boone County Sheriff's Office. His farm hand, Thomas Ward, was driving a combine and paying attention to the corn head. "He (Hayden) was in front of the combine," Burcham said. "Mr Ward didn't see Mr. Hayden in front of him and Mr. Hayden go caught up in the cornhead." Hayden became caught by his legs in the corn head of the combine. Paramedics were called and they took Hayden to St. Vincent Hospital on the north side of Indianapolis. He's stable according a press release from the Boone County Sheriff's Office. Burcham said it's not uncommon in Boone County to see farmers of Hayden's age out working in the fields. "We have quite a few farmers and farm hands who help throughout the entire county," said Bucham. "From young kids helping out to old farmers who own their own property." He also has a message for the young people coming into Indianapolis for the annual FFA convention. He said one thing anyone going into a field that involves heavy machinery should be "obsessed" with is safety.